As if week 39 of pregnancy wasn’t stressful enough on its own. I’ve been hoping that every twinge is an indication we’re close, practically praying for an early arrival. Until yesterday. Peanut has had a cough for a week. I took him to the doc on Monday, assuming our pediatrician would pooh-pooh it like usual and give me the usual: fluids, rest, blah, blah, blah. Essentially, give me the peace of mind I was seeking in this final week before my due date. Instead, Dr. Killjoy would not commit and dropped the H-bomb: H1N1. 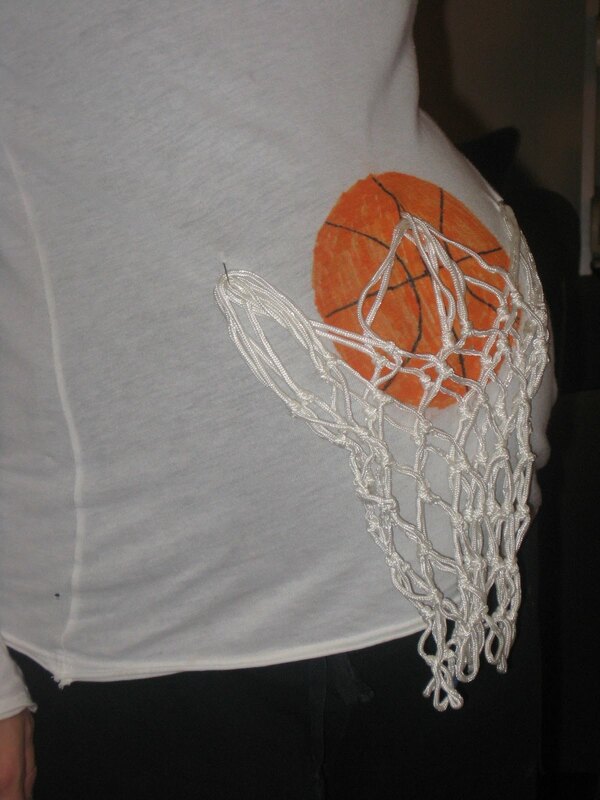 Not that it definitely resembled it, but that he couldn’t rule it out, he said while eyeing the basketball in my belly. He gave us a prescription for Tamiflu to only fill if his cough stayed the same but his fever got worse. Well, Wednesday morning, peanut spiked to 101+. Great. Called in and they told me to fill that sucker, so we did. Then called the OB’s office. Now I’m on it, too. Even though I’ve already had the scratchy throat and slight cough. Great. Nothing like being paranoid about possible swine flu during labor. Needless to say, I’m keeping my legs crossed at least until peanut’s 5-day course of Tamiflu is complete on Monday. I’m on the “precautionary” version, so I have a 10 day course to go. Hoping to put together a plan with the midwife at tomorrow’s appointment, but to say I’ve been freaking out would be an understatement. Nothing like new avenues of paranoid thought to travel down while tossing and turning all night since no position is comfortable right now. Will I be able to be around my new baby? Will I be able to breastfeed? Will we all be healthy enough to bring the baby home? Why did this have to happen to us? Because, yes, I’m taking it as some sort of personal insult. Last night, through the stressful tears that keep welling up at random times (thanks hormones), I looked at the hubby and told him one day we’d look back on this time and laugh. I hope that day comes sooner rather than later. Twelve little days until my due date. Unless pumpkin is 10 days late, like peanut was, and I’m looking at 22 days to go which is such a dark and depressing thought that I am refusing to go there right now. Instead, I have been humming the 12 Days of Christmas all day and wondering what the comparable 12 days of pregnancy would be. As impractical as 11 pipers piping would be to my life right now, I could relate to eight maids a-milking. A baby in a bassinet. I’m definitely in the mentally challenging part of the pregnancy. The wishing an exam gives a glimmer of hope. The hoping a twinge is the start of something. The counting down to a day that doesn’t really mean anything. So far, nothing’s happening and I strangely feel physically less ready than I did a week ago. Which is frustrating. But typical. Guess I’ll just sing my new little ditty and continue to nurture this little guy inside since he’ll be worth every minute of the wait. Better than four french hens, for sure. My mother made most, if not all, of our Halloween costumes when we were kids. If she didn’t make them, we put them together ourselves. I don’t recall ever having a store bought costume. Not once. I was a clown, a crayon, a witch, a hobo (the same year my sister went as a rich lady), Little Red Riding Hood, and so much more I’m having a hard time remembering. Peanut has been a frog and Spiderman for his only two Halloweens. Neither of which I made. Both years this made me feel guilty or somehow lacking in the mother gene since this was something fun we did with our mom every year. This year, peanut is complicating it further by constantly changing his mind. At first, he wanted to be an astronaut, which thrilled the hubby. We found a great costume online that I loved because it was pretty inexpensive and could be used for dress-up all year long. Dress-up isn’t something my kid does often, okay, ever, but he does pretend to take off in a rocket ship a lot and a costume for those rainy day spaceship forts made out of pillows would make it a bit more fun, don’t you think? And the relief of getting the costume taken care of early while my due date looms on the Halloween horizon? Priceless. 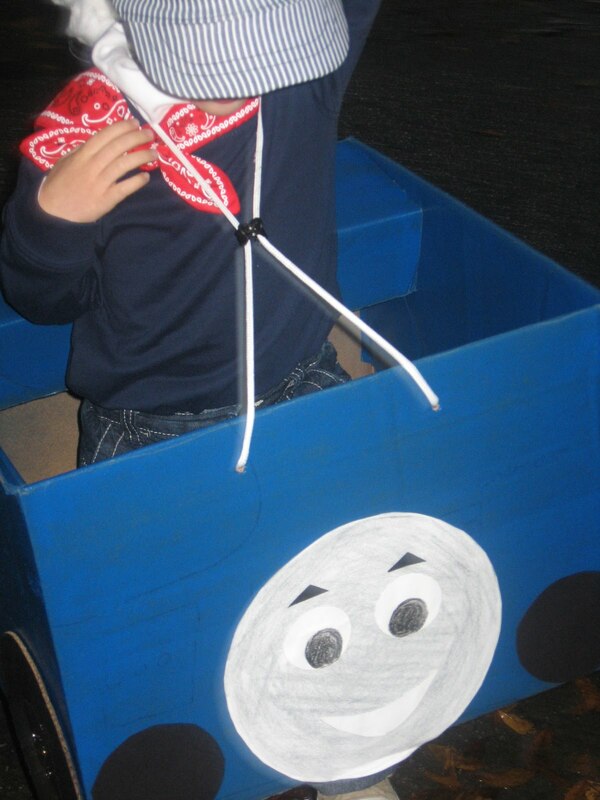 Then, suddenly, out of the blue, he decides he wants to be a train. Great. I really don’t care for the Thomas costumes all over the Internet and Target, so I tried to see if it would pass or I could convince him to go back to the astronaut idea (thankfully, I had not ordered it yet). Then it was he wanted to be a race car and daddy would be a race car driver. Then, no, I want to be the race car driver. Then, I want to be a school bus. Then, I want to be a taxi. Then, I want to be a train again. We obviously need to make a decision soon. At dinner tonight, when he announced that he didn’t want to be a train he wanted to be a car – no wait, a train again – I looked at the hubby and said, “I’m just going to make him be a carrot.” Why? Because it was just the most random thing that popped in my head. Dude. Who knew the “You can’t tell me what to do” thing was going to start so young? I’m beginning to wish I had inherited the sewing desire, not to mention skill, so I could just whip something up. So the pressure was off a little bit and we could explore some options for costumes together. So we could enjoy that time together working on a special project, just the peanut and me. Maybe it’s more nesting – the need to make things, create, solve, make my peanut happy. The problem? Totally uninspired. Tonight, I’m going to dig deep, channel my mother, tap into the crafty side, go online and see what the heck I can do to come up with a short list for the peanut and try to knock out this costume conundrum by the end of the weekend. Otherwise, I just won’t comb out his bed head that morning and he’ll be going as Dennis the Menace. Other suggestions? Did you wear more home made or store bought costumes as a kid? What about your kids? Have I mentioned before that I have the most fantastic, sassy, blunt, loyal, hilarious sister in the world? And that my life – and any bottle of wine – is just not the same without her? It hasn’t always been so. We had our share of fights growing up and by fights I mean hair-pulling, slapping, physical pain inducing fights that weren’t nearly as bad as the hurtful things we could hurl at each other in a war of words. Somehow, those difficult times coupled with the sweet moments of sisterhood – the comforting whispers under the nubby quilt at my grandmother’s house to ease one or both of our feelings of homesickness, the shared laughter over an inside joke at the dinner table that left our parents clueless, the game nights, the endless watching of Clue, the endless watching of Dirty Dancing, the marathon Barbie play sessions, the “Spam” shows and the common bonds of watching a parent lose a job or quit smoking or go back to school or deal with a health crisis – made our relationship what it is today. And what it is today is still sometimes just as competitive, but at its roots is a fierce bond that oftentimes doesn’t need words but rather a head on the shoulder as we wrap our arms around each other. What makes this relationship so difficult these days is the fact that we live 384 miles apart and our lives are at polar opposites. I’m home with a pre-schooler and baby on the way, she’s kicking tail at a high-stress, 60-hour a week job while getting her MBA at night and married to a wonderful man who works a crazy schedule leaving them little time to see each other face-to-face not to mention time to visit us. And was it ever. The box was filled with practical baby gear, adorable outfits, cuddly animals, books for both the boys, an Uncle J-painted original for peanut as well as an Uncle J-painted Dr. Seuss ‘page’ for pumpkin to complement the one he did for peanut three years ago. 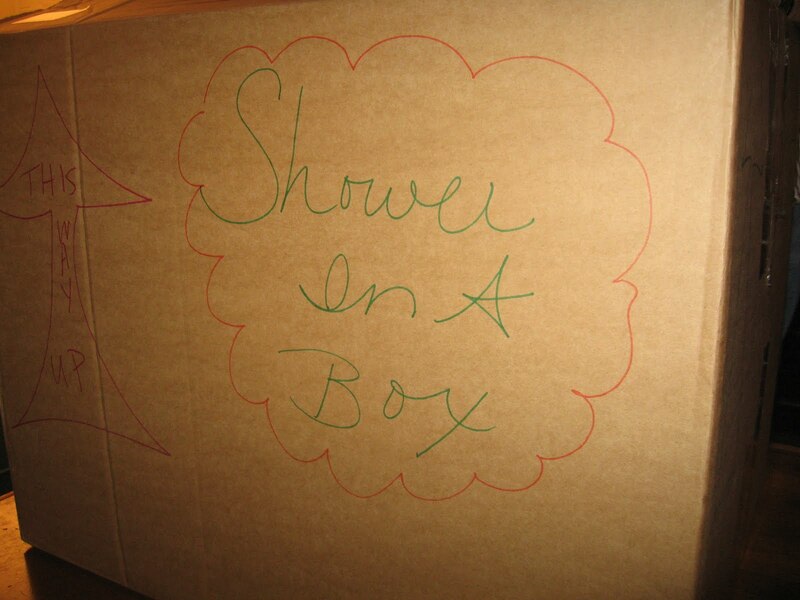 All that was missing were the silly shower games (and who really misses those?) and the cake. 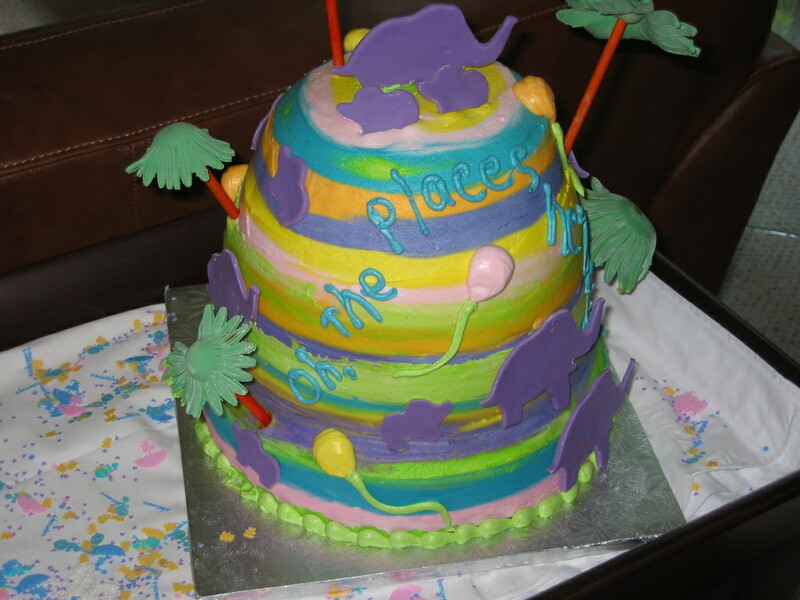 When this was the cake sis had done for peanut’s shower, wouldn’t you be missing one this time, too? I know if she could be here to get me through these last few weeks, she would be. I know if she could be there during my labor and moments after pumpkin’s birth, she would be. I know if she could be here to deliver the box in person with a cake (yes, I’m obsessed) and a bottle of champagne, she would be. But she isn’t. And I love her all the more for what she did do…made me feel showered, loved and excited about pumpkin’s arrival in all new ways. Despite the distance, despite the complicated lives, despite the sibling rivalry, she will always be my best friend, my confidant, my sounding board, my partner in crime, my favorite drinking buddy, my fashion consultant, my sister. As I await the arrival of pumpkin, I can’t help but wish a similarly strong bond for these brothers we will have created. I look forward to one day sitting back and hearing them belly laugh over messy antics at their mother’s expense, practical jokes gone awry, shared games, inside jokes about family vacation moments, and trips to the ER (they’ll be boys, I can’t possibly get through child-rearing without at least one cast and 10 stitches…per child). Despite whatever distance, despite whatever complicated lives, despite the inevitable sibling rivalry, they will be brothers. And if they are anything like my sister and I, they’ve got a very good thing coming. We are keeping our name choices secret again. Luckily, since folks expected this of us, we’ve had much less backlash about our desire not to share this information this time around and a lot fewer questions about the kinds of names we’re considering or other roundabout ways to get us to spill the beans. This name limbo is just one more of the things I’m creating to worry about (oh, I have a very nice list of non-problems I’m working on making into issues). The fact is, we haven’t really settled officially because I think something I suggested early on is the name we’re measuring all other names against. You’d think this wouldn’t be a problem since I apparently liked it well enough to offer it up, but the hubby suggested peanut’s name and I’m feeling the added pressure of this one being MY suggestion. With peanut, if someone had ended up hating it, I could have easily blamed him. If that happens this time or an annoying nickname crops up or the kid ends up hating it when he’s 18, I suppose I’ll have to take ownership. The thing is, the other night at dinner the hubby was adding extra Tabasco to his chili and peanut said he didn’t like spicy things. I have the less spicier palate in the family and definitely did not enjoy spicy foods during peanut’s pregnancy, so the hubby said “Just like your mother.” I responded that maybe SAID THE NAME OUT LOUD would take after his father since I have been craving more spice this pregnancy. It just came out, so natural, so fitting, like he already approved or had whispered it into my ear through his heartbeat during a prenatal appointment and all I had to do was translate it to get it right. So maybe pumpkin does have a name. Maybe. I can guarantee you later tonight I’ll pull out the old Baby Name Wizard to make sure we have a back-up or two. You know, just in case someone with this name does something horrible in the next four weeks that ruins it for everyone. Gotta have something to worry about. We have a private family blog we use to keep our out of town (i.e, everyone) relatives in the loop with pictures and more personal, admittedly mundane, details of our daily lives with peanut. This weekend, I took a trip down memory lane and revisited the posts I wrote in the last month of peanut’s pregnancy. Man, was I seriously that girl? You know, the one who just loves being pregnant and even admits to aspects that she’ll actually miss? Ick. I was. I apologize to all pregnant women out there, because I have seen the light that it’s not always sweethearts and roses. This time around, the exhaustion had me done in during the first trimester, but the nausea was minimal, lasted only a week or so and was easily managed. I think this third trimester is making up for it. The round ligament pain kicked in about three weeks ago and, at times, makes every step painful. Turning over in bed isn’t just difficult, it’s downright excruciating as I try to use what’s left of my pelvic muscles and those damn useless ligaments to turn over. Sure, I’m carrying so low I can actually breathe this pregnancy, but as a trade-off, I’m peeing ALL. THE. TIME. I can count on one hand how many nights that I have NOT gone to the bathroom in the last 36 weeks. My temper is short, my patience limited, my energy waning. I’m not sure how much of it is the added physical demands of chasing a three-year-old as opposed to sitting at a desk all day where standing for an hour-long presentation once or twice a week and checking the mail were the most physically taxing activities I tackled versus just a different pregnancy. I call it pregnancy purgatory – and I think it must be that way for all women after their first pregnancy. The first time around the pregnancy is all a mystery. It’s new and fresh. Scary and exciting. Every new sensation or kick feels like you’re being marked a mother. The arrival of this new creature seems so intimidating, it almost seems safer inside. But this time? I am so aware that the payoff is better than the preamble. Of course I enjoy the hiccups and the shifts and shimmies, I know I’m a lucky gal to have had two relatively uneventful pregnancies and honestly do realize that my discomforts are minor compared to what some women go through for their children. But I’m still counting down the days. Counting down to delivery. Counting down to meeting this new little man of mine. Counting down until I can introduce peanut to his baby brother and see my two sons together in the flesh. Counting down until our family of four is safely ensconced in the cocoon of those early, sleepless newborn days when time is topsy turvy and we’re all getting to know one another. It’s not often that I find myself the youngest person in a room. Yet, that’s just where I found myself last night. I attended a local literary event where Richard Russo was appearing. As I looked around the packed room of at least 100 attendees, I was surprised to realize I was one of only a handful under 40 and of those, I think several of them worked at the particular sponsoring venue. Of course, I’m “younger” and enjoy Russo’s books and vivid characters, as well as “chick lit” and non-fiction titles. I had heard about the event via a local report on NPR and on twitter. Perhaps this is more a commentary on me being an old soul in a 33-year-old body than an indication of a larger trend? Has our education system trained us to read for work, not pleasure? Has the proliferation of media options created a generation of non-readers because we’re too busy skimming our blog readers, twitter feeds, email or catching up on Top Chef via our DVRs so we can finally put in that Mad Men season two DVD from Netflix? Are books just not cool? Or are events like these simply not a high priority for busy twenty and thirty-somethings (an argument I can certainly relate to)? I hope it’s more a challenge for the event planners of the world than a commentary on the state of the American reader. As we analyzed ways to cut back on our discretionary spending back when I decided to stop working and stay home full time with peanut, buying books was definitely something I had a hard time justifying. Instead, I headed over to our local library and got a library card – my first since I was a child and actually did research for high school term papers in our public library stacks surrounded by Encyclopedia Britannica and microfiche machines. What a wonderful decision that ended up being for this busy mom. I can go online and put my name on the wait list for new releases and pick them up when available. I have discovered less recent books that line the shelves just waiting for someone to find them and crack their plastic covered spines again to spill their secrets. I can spend at least an hour watching peanut randomly select books from the shelves and bins, filling bags to bring home of new books that capture his attention for the rest of the day and easily become his favorites in the nighttime rotation for the month they are ours. Seeing peanut’s face light up at the mere mention of going to the library makes me proud. I hope I can continue to nurture this love of books in my boys as they grow. I’m not even sure what my point is with all this ranting about reading. All I know is we’re a family who loves books and I hope you all do, too. There is nothing more satisfying to me than peanut bringing me a book and asking me to read to him in the middle of the day – and not just because that means we get to sit still for a few minutes. And, while I’m at it, if you haven’t read Empire Falls, you really should.